Before you toss that old orange sweater you don't wear anymore, Ellen can show you how to turn the sleeves into these cute sweater pumpkins. 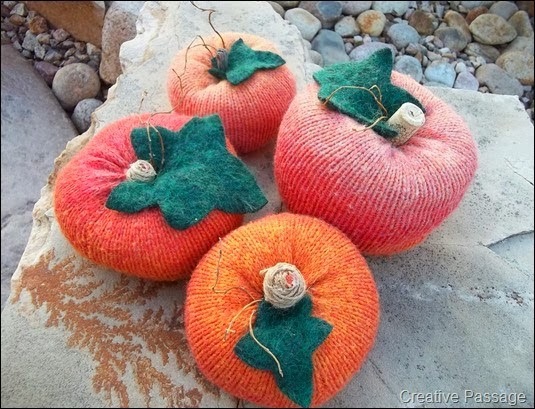 If you can't find any orange sweaters in your closet and you can't find any at the thrift store, you can always try your hand at these velvet pumpkins from The Colored Door. 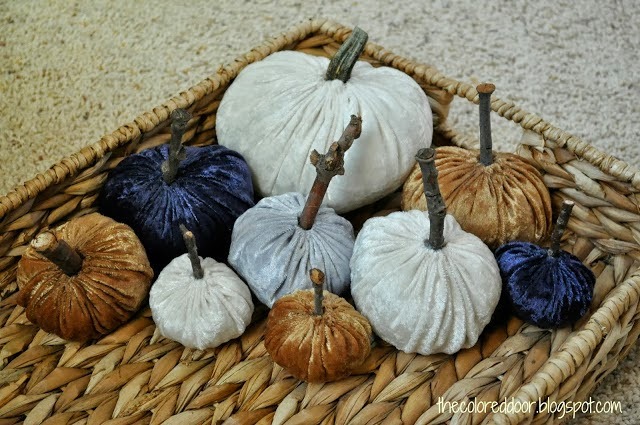 If you would rather paint then sew, then check out these beautiful blue ombre pumpkins over at A Stylish Interior.